We are very thankful to all the participants of ICEIM-2018. We would like to welcome you in ICEIM-2020 Conference. Keep watching this space for the next announcement. Please write to Conference Organizing Committee Chairperson/Co-Chairpersons." Contemporary Challenges and Futuristic Approaches for Creating Sustainable Society Robust infrastructure and sufficiency of energy are fundamental imperatives for development of any economy around the globe. There is huge gap between energy needs of developed world and developing countries. Our earth has limited natural resources to fulfill our energy needs; hence we have to think seriously on saving our energy resources for future generations. We need to create sustainable habitats, cities, communities for our better life. To achieve this objective, people, industries, communities and the governments need to work together. The Paris Climate Change Agreement 2015 ensures that all the countries across the world should work together to combat climate change and balance our energy needs for the better world. School of Petroleum Management (SPM), Pandit Deendayal Petroleum University, Gandhinagar is organizing International Conference on Energy and Infrastructure Management-2018 (ICEIM 2018) in its 6th edition with an objective & scope to deliberate, discuss and document key contemporary issues relevant to managing energy & infrastructure sector with reference to emerging economies. The Management School was first established as the Institute of Petroleum Management, Gandhinagar (IPMG) in 2006 by GERMI (Gujarat Energy Research and Management Institute), established as a trust and a society by GSPC (Gujarat State Petroleum Corporation), a Government of Gujarat undertaking. Subsequently in 2007, when GERMI established Pandit Deendayal Petroleum University, IPMG became the constituent of PDPU and changed the name to School of Petroleum Management (SPM). The school has been set up as a center of excellence to impart formal education and training programmes to students and executives. It offers a wide array of professional courses like MBA, PGDPM-X, MDP and Ph.D. with dedicated fulltime faculty members and best-in-class course structure and facilities. In addition to teaching, the School is engaged in training, research, consulting and dissemination of body of knowledge largely in all the functional areas of management and specifically in energy and infrastructure domain. Authors are invited to submit abstracts and full papers for the ICEIM 2018 conference within the proposed Scientific Topics. See Abstract Template in abstract format section below. For submitting a full paper, see full paper submission guidelines. To submit your abstract/ paper, please go to the submission website by clicking on the link below. Abstracts must not promote a commercial product, process or service. Upload MS-Word file of your abstract/full paper once you enter all the details related to the paper on the submission portal. Extended abstracts (1000-1500 words) can be submitted before the Deadline (Sep 15). Extended abstracts should reflect on background of the research study, key research questions and hypotheses, research methodology (sample design, measurement and data analysis) and key findings of the study. Researchers can submit their papers under refereed paper, Work-in-progress paper, case study or poster presentation. Full papers as per guidelines (APA style, Times New Roman Font, size 12, 6000 words) should be submitted before Dec 15, 2017. Samples of abstract/full paper are available for download on the conference website. Refereed Papers (RP): These represent the completed original work by the authors. The full papers in this category once double-blind reviewed, accepted and registered (in person / in absentia /virtually) will be included in the competition for the awards. These papers shall be also considered for potential publication in the journals. Poster Presentations (PR): These represent findings from a current working paper. Authorsdisplay posters of their research, distribute their papers, and are available to discuss and answerquestions during the assigned poster session. There is a separate award for the Best Poster. All Posters will be included in the Conference Proceedings. Case Studies & White Papers (CW): These include practical case studies and white papers presenting critical reviews on Government policies by the author(s) from academics, ractitioners and policy makers. These will include observational and experiential knowledge that will be useful to other participants. This type of output is most suitable to managers and leaders from corporate, government and management consultants. The output can be in form of an Extended Abstract / Case Study / White Paper / PowerPoint Presentation. This will be included in the Conference Proceedings. There is a special award for the Best Case Study / White Paper in this conference. Product / Service Showcase (PS): These include showcasing products and services byEntrepreneurs, Innovators, Inventors, Corporate organizations, government and policy makers. The presentation may be scheduled in the conference or at the Exhibitors’ stall area. The output can be in form of a Product Summary / Product proto type / PowerPoint Presentation. This will be included in the Conference Proceedings. There is a special award for the Best Product / Service Innovation in this conference. Work-In-Progress Papers (WIP): These category of papers are working papers of students doing research at PG or doctoral level. These should be original work or research coming out from their dissertation/thesis. The output must have an Extended Abstract submitted first. Once it is double blind-reviewed, the author(s) must submit their final full paper. The full papers in this category once double-blind reviewed, accepted and registered (in person/ in absentia / virtually) will be included in the competition for the awards. The first page of the abstract includes a title of the paper, name(s) of the author(s), affiliation(s), and complete mailing address(es), telephone/fax numbers and e-mail address(es) for communication. The next page should follow title of the paper, followed by centralized headline- ABSTRAC, main content and 3-5 Key words at the end of the abstract. All submissions should be submitted as per the guidelines for blind review process and facilitating publications associated with the conference. All the registered participants’ abstracts will be published in the conference proceedings. Award-winning papers and selected refereed papers/case studies may be published in the Journal of Energy & Management (http://www.pdpu.ac.in/jem.html) on fulfillment of publication guidelines of the journal by respective authors. All Accepted Papers must follow the following Submission Instructions and Guidelines. Copyright: Articles, papers, or cases accepted for publication should be original contributions and should not be under consideration for any other publication at the same time. Authors submitting articles/papers/cases for publication must ensure that the work is not an infringement of any existing copyright, infringement of proprietary right, invasion of privacy, or libel and will indemnify, defend, and hold ICEIM/SPM, PDPU or sponsor(s) harmless from any damages, expenses, and costs against any breach of such warranty. For ease of dissemination and to ensure proper monitoring of use, papers/articles/cases and contributions become the legal copyright of the ICEIM/SPM, PDPU unless otherwise agreed in writing. General Information: Please do not alter the title of your paper or author name(s). The ICEIM/SPM must receive your manuscript and completed registration with the applicable fees within FOUR weeks from acceptance date of your paper or by December 30, 2017 whichever earlier. Length of Full Paper: Length of full paper (including references) should be in the range of 4000-6000 words. Page Setup: Select 8.5” x 11” (Letter) size portrait-ONLY sheets with all margins 1” each and headers/footers 0.5” each. Use Times New Roman font, 12-point size, double-spaced lines, using APA style in MS Word. First Page: Paper title, not exceeding two lines, must be CAPITALIZED AND CENTERED IN BOLD LETTERS. Author name and university/organizational affiliation of each author must be printed on one line each. Do NOT include titles such as, Dr., Professor, Ph.D., department, address, email address etc. Please print the word ”ABSTRACT” in capitalized bold letters, left justified, and double-spaced from last author’s name/affiliation. Abstract should be in italic. After abstract, please write Keywords for your paper. All other Headings: Do not number any heading. All other section headings should be in bold letters with first capital letter in each word, left justified, and double-spaced from last line above them. Tables, Figures, and Charts: All tables, figures or charts must be inserted in the body of the manuscripts within the margins with headings/titles in centered BOLD letters. The Table lines must be printable to print the Table. The Table title must be written on top of the table and Figure title should be mentioned at the bottom of the figure. Journal Articles: Hirtle, P. B. (2008, July-August). Copyright renewal, copyright restoration, and the difficulty of determining copyright status. D-Lib Magazine, 14(7/8). Magazine Article: Kluger, J. (2008, January 28). Why we love. Time, 171(4), 54-60. Newspaper Article: Delaney, K. J., Karnitschnig, M., & Guth, R. A. (2008, May 5). Microsoft ends pursuit of Yahoo, reassesses its online options. The Wall Street Journal, pp. A1, A12. Edited Books: Gibbs, J. T., & Huang, L. N. (Eds.). (2001). Children of color: Psychological interventions with culturally diverse youth. San Francisco: Jossey-Bass. Author Profile: Dr. Tahi J. Gnepa earned his Ph.D. at the University of Wisconsin, Madison in 1989. Currently he is a professor of international business at California State University, Stanislaus, and Managing Editor of the Journal of International Business and Economics. Manuscript: Do not insert page numbers for the manuscript. ALL pages in PORTRAIT format only. (No Landscape formats permitted.) Please do not forget to run spelling and grammar check for the completed paper. ICEI/SPM reserves the right to edit/alter the manuscript. *All these fees include 18% GST. The Registration fee covers conference kit, lunch, dinner, tea/coffee snacks during conference days. Registration fees can be paid in cash in any branch of the Oriental Bank of Commerce, into following university bank account. The same may also be paid by Electronically Fund Transfer (EFT) as per following bank details. Delegates are required to send the scanned copy of bank payment slip with depositing branch details/NEFT transaction details i.e. UTR No., name of the account from which funds transferred; via e-mail at iceim2018@pdpu.ac.in. 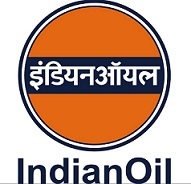 GM (HRD), Indian Oil Co. Ltd.
We have limited rooms available at our International Hostel within our campus on twin/ triple sharing basis for students/ Ph.D. scholars/ research associates. The room charges are Rs. 500/- per night for one single person (meals etc.). We also have limited AC rooms available for participants from industry/ academia in the same hostel @ Rs. 1500/- per night. For bookings, please contact Mr. Utsav Mehta, (Email: Utsav.Mehta@pdpu.ac.in; Mobile: +918200514400). Prepare the paper in MS Word format. 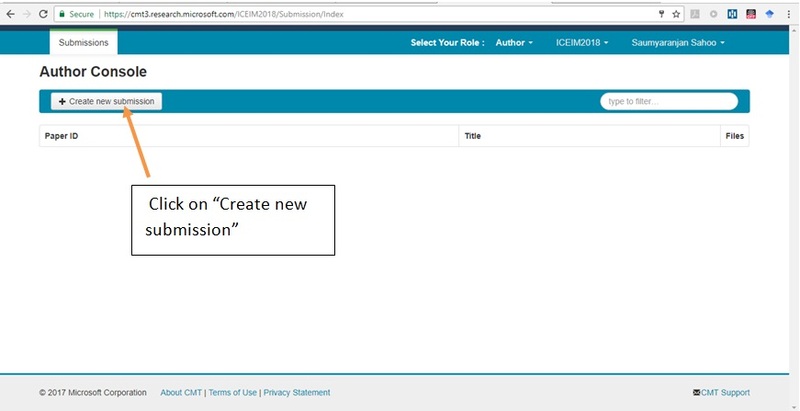 Click on “Submit Your Paper” on the conference website or else visit https://cmt3.research.microsoft.com/ICEIM2018. For Abstract submission, download abstract template from conference website. Submit your abstract referring to template provided by conference organizer. For Full Paper submission, kindly refer to manuscript submission guidelines and/or samples available on the conference website. Register yourself by clicking on the “registration” tab. Create new account and fill in personal information. After you have registered for the conference. Use the login credential to log in to submission portal. After you have logged in, click on “Create Submission” tab to submit your abstract or research manuscript. Fill in details related to research paper i.e. title and short abstract of 250 words. 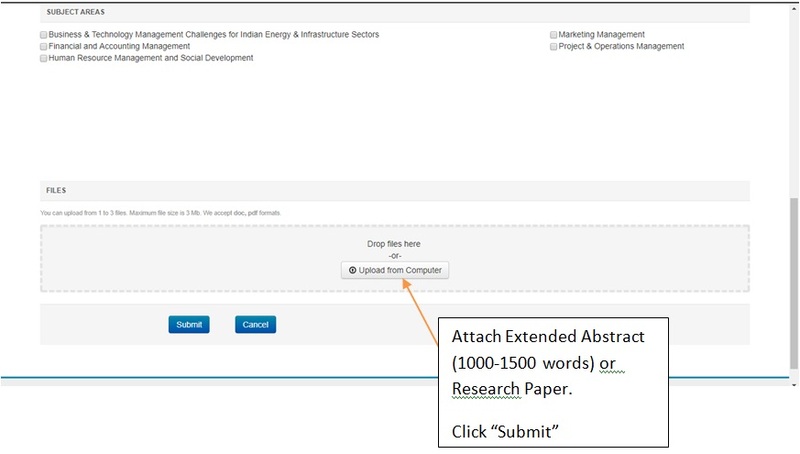 Select subject area of your “research paper”, upload the document and press submit tab. Reviewers should clearly indicate their choice of track in which they would like to review submitted manuscripts (extended abstracts). They should also mention 3-5 sub-themes under the track which match with their research interests. For details refer “Conference Themes and sub-themes” on the conference website. To maintain quality of papers presented in the conference, we are following double-blind peer review process. Each submission will be reviewed by at least two reviewers. We expect our reviewers to follow review guidelines diligently and maintain confidentiality of the process. A reviewer may have to review 3-5 abstracts as assigned by the organizing committee. The organizing committee reserves its right to select reviewers among volunteers. The Deadline for the “Submission of Abstracts” is Sep 15, 2017 and we have to complete the review process by October 15, 2017. We expect our reviewers to send their reviews before September 30, 2017, so we can communicate to conference participants about our decision well before the deadline.